Do you wish to give your child the best IB education? Are you searching for the Top IB Schools in Mumbai 2019? if yes, then you are certainly on the right page. Following is a compilation of the best IB schools in Mumbai with ranking. Detailed admission procedure has been included for each school mentioned in this list. Dhirubhai Ambani International School has developed a prominent name by providing quality education. Poddar international high school is one the formost schools, situated in the well equipped campus of Mumbai. Ajmera Global School was established in year 2006. 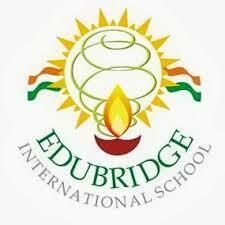 Edubridge International School is an international school in South Mumbai. NSS Hill Spring International School (HSI) is the latest educational endeavour of the Trust. RBK International Academy is an IB World School which offers the Primary Years Programme (PYP), Middle Years Programme (MYP) and Diploma Programme (DP). 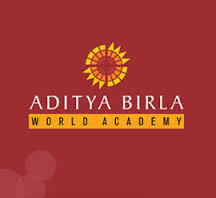 Aditya Birla World Academy located in Mumbai provides world class education to the students by training them under the CIE (Cambridge International Examinations) from pre-primary to Grade X, and under the IBDP (International Baccalaureate Diploma Programme) and A Levels for Grade XI and XII. BD Somani International School is an International Baccalaureate and IGCSE certified school in Mumbai, India. DSB International School is an English and German medium school, catering to children between the ages of 3 to 16 years old. 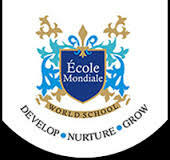 École Mondiale World School is dedicated to providing academic excellence and realising every student’s potential, both inside and outside the classroom. Fazlani L'Académie Globale is located in a vibrant, lively city Mazagaon, the educational hub of South Mumbai. Garodia International Centre for Learning also known as Garodia International School, is an educational institution based in Ghatkopar, Mumbai, India. Hiranandani Foundation School (HFS) provide an environment that focuses on shapping children not only into global professionals but also good citizens.